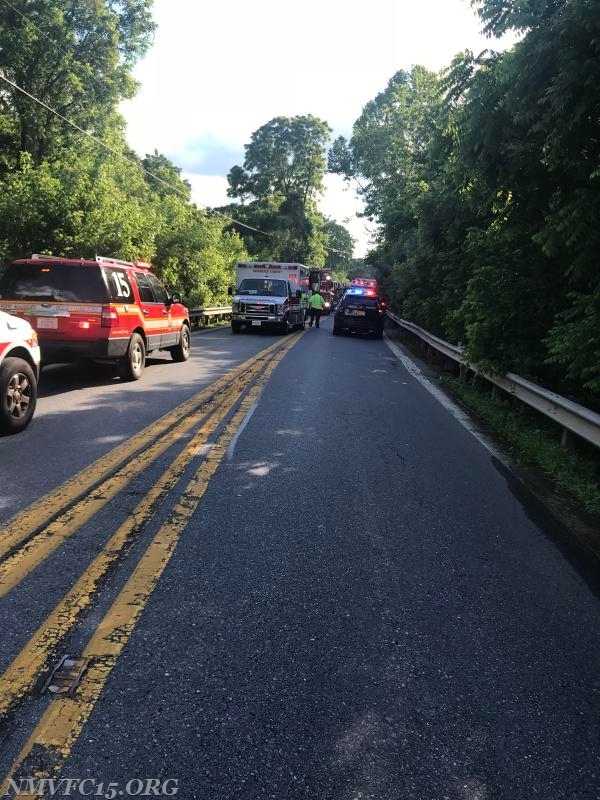 On Monday June 4th at 1720 hours units were alerted for a vehicle accident with entrapment in the area of Green Valley Road and Knolls Parkway. 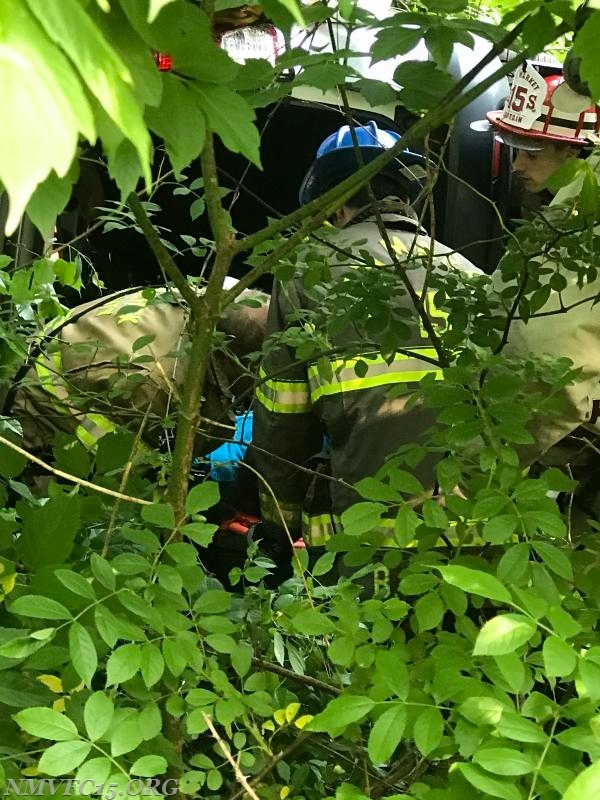 The report was one vehicle rolled over into the woods and one patient trapped. RS15 (DFRS Capt. Schultz), U15 (Capt. Thews), C15 (FC Nalborczyk), C15-2 (AFC Betts), and C15-3 (AFC Bowles) responded with 9 personnel on the run. 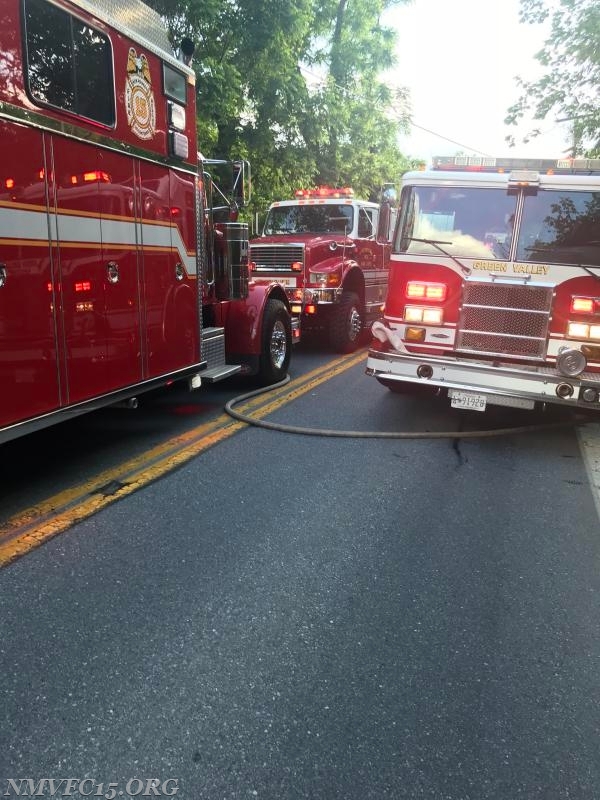 Co. 25 arrived to find the reports to be accurate and one patient confirmed entrapped. C15 arrived and established command, assigning C717 (Sutton) as the Rescue group supervisor. 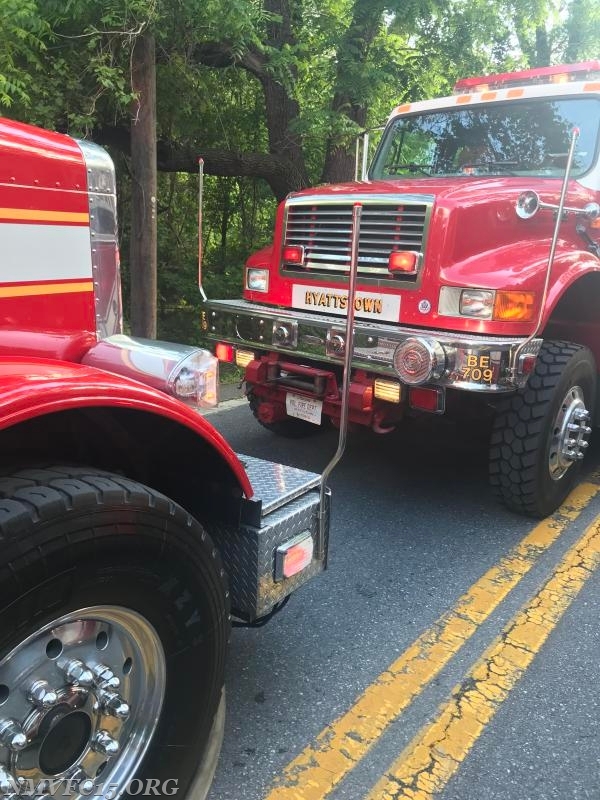 C15-3 was the incident scene safety officer and C15-2 was the EMS supervisor. 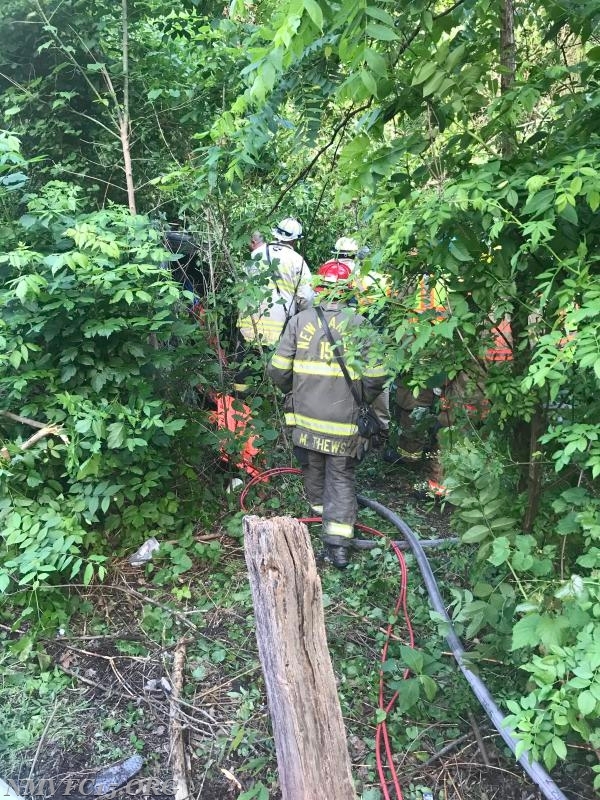 RS15 went to work stabilizing the SUV with struts and gaining access to the patient. The patient was extricated by removing multiple seat backs, after which the patient was treated by EMS crews. ET254 stood by with a charged hoseline. 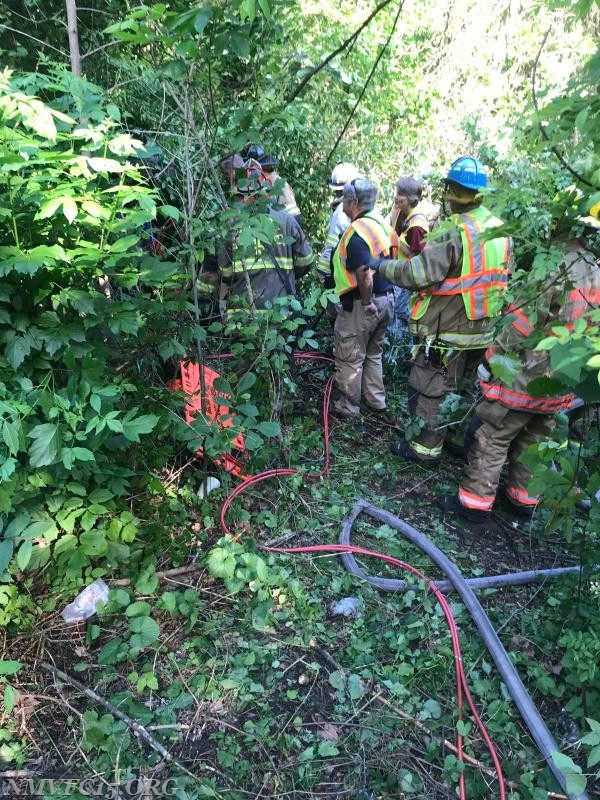 The patient was extricated in about 15 minutes and units cleared a short time later.